If you're in the Boulder area on October 20th, please join us for some fun at Ten20 Salon located at 2005 Pearl Street. I will be having a trunk show and will be unveiling the new holiday pieces and as always, jewelry prices will be discounted at the show! 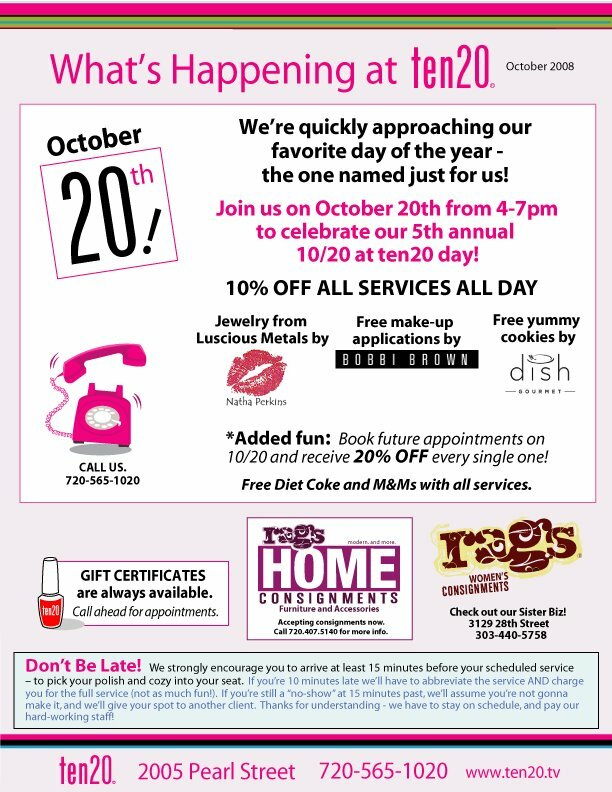 Ten20 is offering 10% discounts on services (and 20% discounts for any future appointments booked) and of course free diet coke and M&M's plus yummy cookies from delicious Dish...Did I mention free makeup consultations? Come get a free makeup consultation and some jewels and then head out on the town for a fun girls night! You just can't beat that.